Following the events of Captain America: Civil War, many fans are left wondering where Earth’s Mightiest Heroes will go next – especially after the major fallout between Steve Rogers and Tony Stark in the film’s incredible finale. Besides the many heroes we see depicted in Anthony and Joe Russo’s film, plenty of fans have also wondered where two of the strongest Avengers in Hulk and Thor would be if they found out about the division. I’d be like, “Sort it out, idiots. This is silly.” I don’t know. I’m not sure how that story’s going to go when Thor comes back. But I think it will come as quite a shock that they all aren’t getting along—having a bit of a tiff. When I came down to Earth, I brought you guys together. Now I’ve left and you’re fighting each other. Sorry. So sorry. Loki’s going to come back and lead them all. At the moment, no one knows for sure if the events of Civil War will have any direct effect on how the narrative for Thor: Ragnarok will turn out. 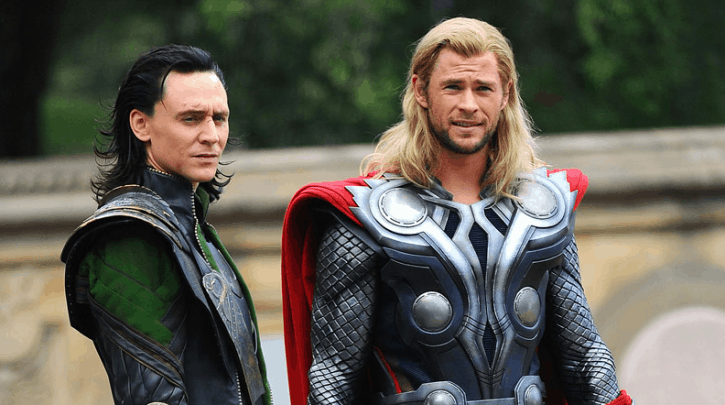 Taika Waititi’s film featuring both Thor and Hulk will fill in the blanks for many fans who wonder how their characters are doing post-Avengers: Age of Ultron and Civil War. Hemsworth and Hiddleston’s comments seem in line with their respective characters and in a hypothetical sense, would be interesting to see played out on the big screen.